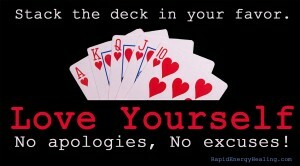 Loving yourself is not only the ace in the hole of life’s poker game, it’s also the king, queen, jack and ten. Nothing beats this royal flush. Loving yourself will eventually heal the majority of life’s fears and wounds, because it nurtures, motivates to positive action, inspires courage, puts events in the best possible light, and many other things that help you feel, act, and be your best self. So if self love is so great, why don’t more people do it? Because the deck is stacked against them. In the first place, love is inexplicably misunderstood. How could civilization go this long without stopping to analyze better how love works? Visit this site often for dozens of helpful insights that we’ve developed to help you become a world-class lover. These misunderstandings create powerful blocks to loving yourself more, such as the Ego Police, who mistake self love for pride, arrogance, and selfishness, when a closer examination shows that these have nothing in common. The Ego Police are also driven by our subconscious brain’s desire for stasis – it hates change. If you begin to rise above the crowd by feeling a bit too good about yourself, someone nearby will be happy to knock you down a peg or two. The second major impediment to self love is fear; because love motivates to bold action, and bold action may upset our comfort zone. We erroneously believe it safer to play small than stand tall, and thus we inadvertently ensure our ongoing misery. 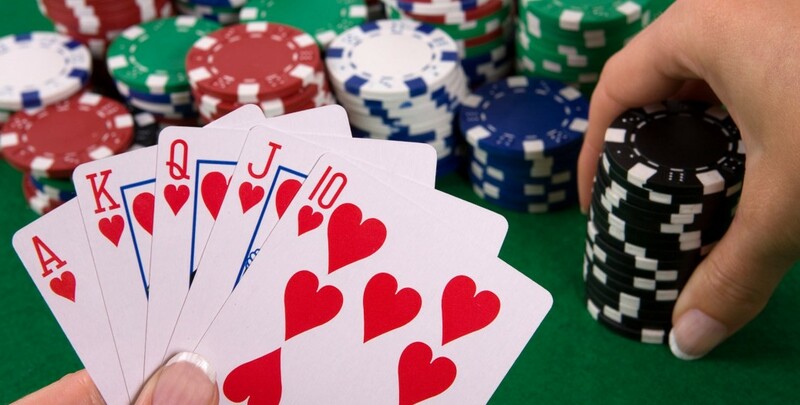 Now that you know better, will you stack the deck in your favor? 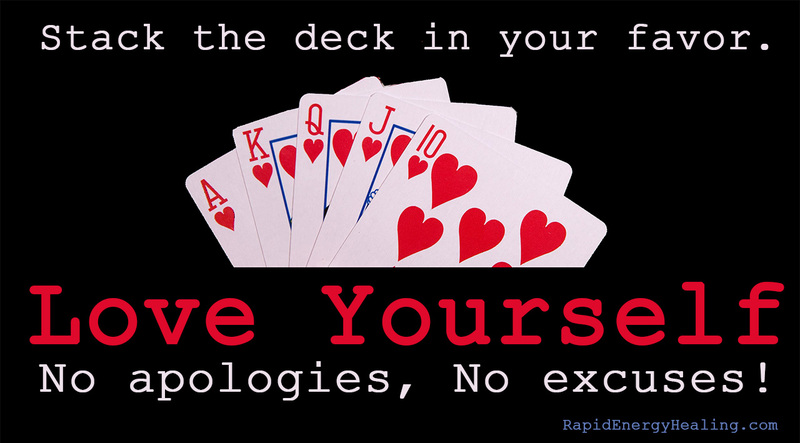 It turns out life is not a competitive poker game after all – we all rise or fall, win or lose, together, and the more people love themselves, the more we all win. You can sort through the deck and choose which cards you’ll hold in your hand. Choose to love yourself. Let this decision guide you often, and rededicate yourself to it as often as necessary. See the best in you. That’s what love does. Tally up your best qualities and review them often until you begin to believe them deep down. Be kind to yourself. Accept yourself exactly as you are. Know that you are good enough!!! Don’t beat yourself up over every tiny flaw and error. You wouldn’t do that to your best friend, so be your own best friend and don’t treat yourself that way, either. Celebrate your life. Rejoice over every tiny victory! Why not enjoy them? Ignore the Ego Police when they notice you breaking ranks from the other prisoners. The benefits you will enjoy as a result of loving yourself are innumerable and fabulous. Your confidence will instantly increase. Your outlook will improve. You will effortlessly take better care of yourself. Any negative feedback will barely affect you. Your eyes will glow with an attractive inner light, old fears will diminish, and practically everything in your life will begin to turn out better. So why not get started immediately? Tell your trusted friends about your decision and enlist their support, though in the end, ya gotta love yourself. No one else can do it for you. If you get stuck, if you find your internal resistance to seeing, accepting, nurturing and truly loving yourself are too great to overcome on your own, or if you want to dramatically accelerate your progress, we’re here for you. Don’t hesitate to contact us, and we’ll be happy to put our gifts to use to help as you renovate your life and begin stockpiling your winnings. 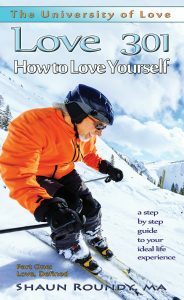 Also check out our new book: Love 301: How to Love Yourself, from the University of Life Press.